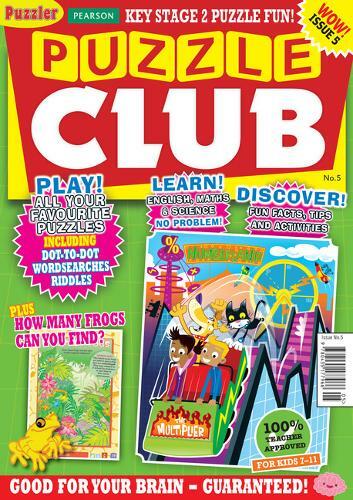 Puzzle Club magazine is perfect for supporting children's learning in Maths, English and Science. Packed with entertaining puzzles, brain-teasers and fascinating facts, Puzzle Club is fully endorsed by educational experts and rigorously tested for fun by our pupil panel. This exciting new magazine for 7-11-year-olds is linked to the National Curriculum and has been produced in partnership with Puzzler, the UK's leading publisher of puzzle magazines.